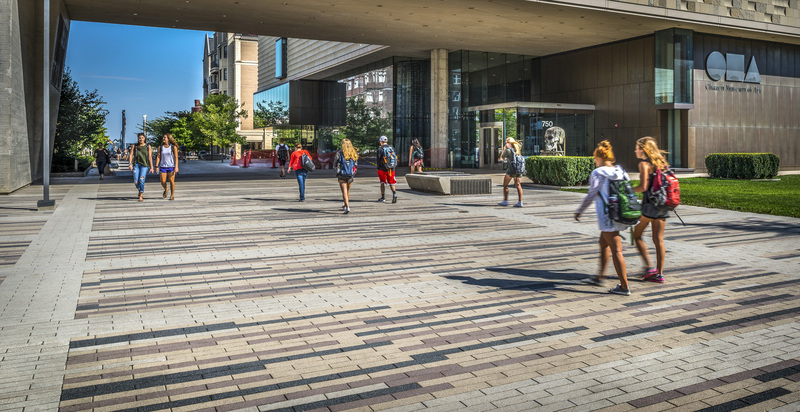 Unilock paving stones and retaining walls have an extensive palette of exclusive textures, colors, styles in a wide array of ready to ship and customizable solutions that will allow you to showcase your creativity. 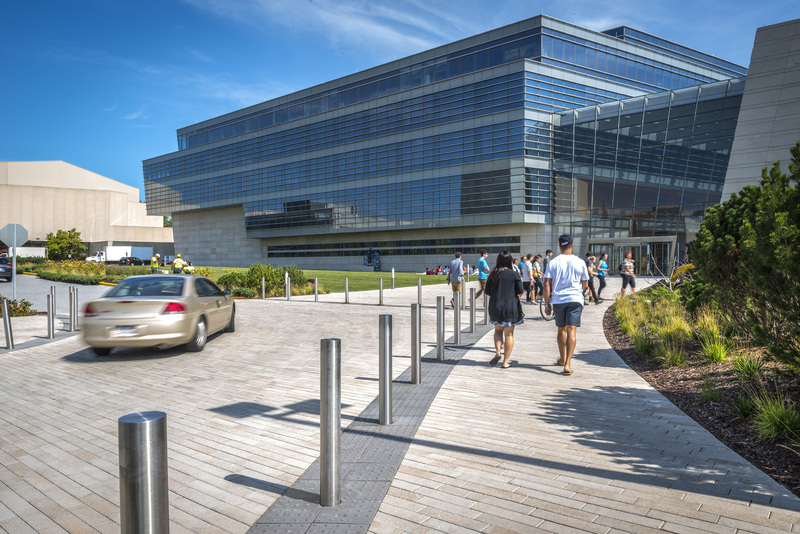 With the most advanced manufacturing technologies in the industry we deliver exceptional product strength, beauty and resilience, along with proven durability. From traditional unit paving to contemporary, for heavy duty, traditional and permeable applications, retaining walls to garden wall, there is a product for every situation and style. 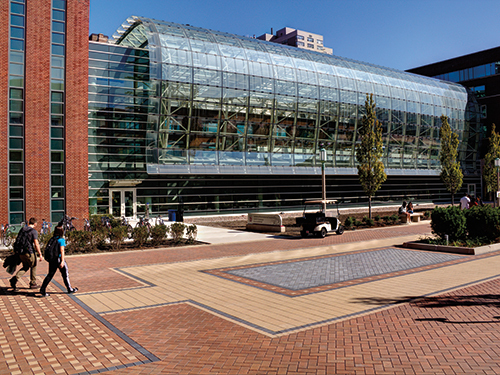 Unilock’s Umbriano is the ideal product for academic institutions. Its clean edges and look of granite combined with its non-slip surface and stain resistant properties are engineered to outperform. It is ideal for high traffic vehicular and pedestrian areas. 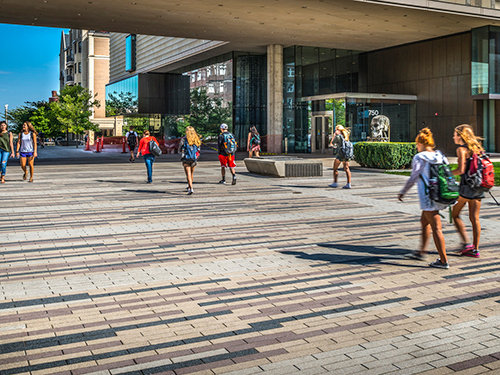 A sophisticated paver finish made from a combination of granite and quartz aggregates, will create a striking visual effect that is extremely durable high performance surface that improves over time. 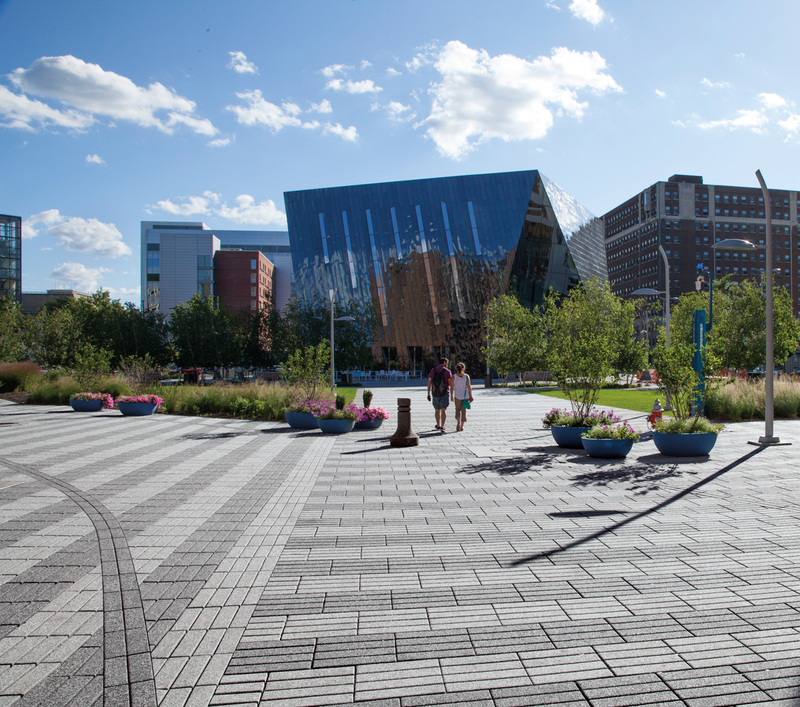 Produced by a specialized manufacturing process, this paving stone features brushed irregular lines etched across each paver. 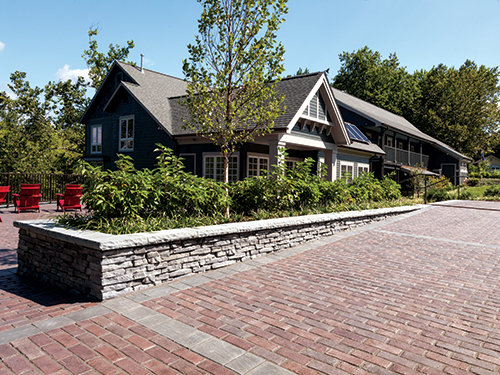 It’s a detailed look that’s striking and inviting at the same time, and unlike any other paver you can buy. 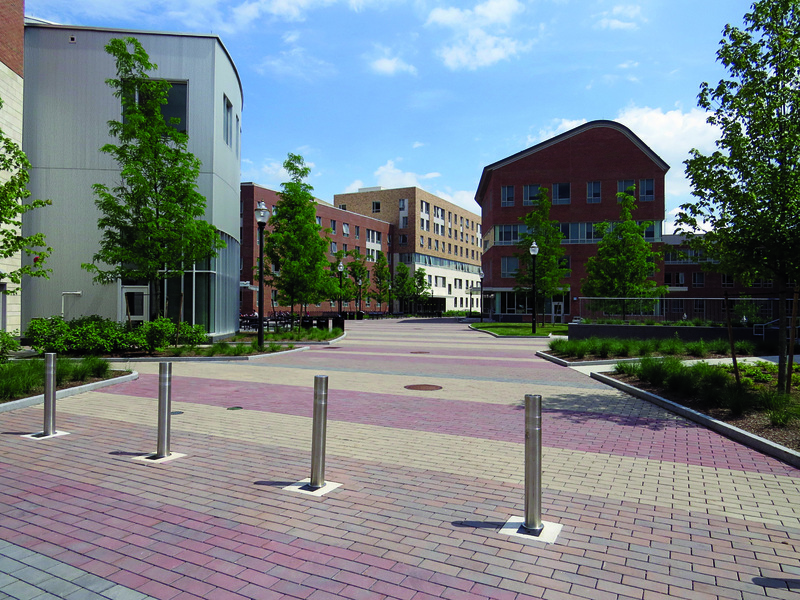 The Town Hall street paver has been designed for both traditional and permeable installation methods while maintaining a time-worn, historical and distressed appearance. It is ideal for heavy traffic loads as well as pedestrian applications. 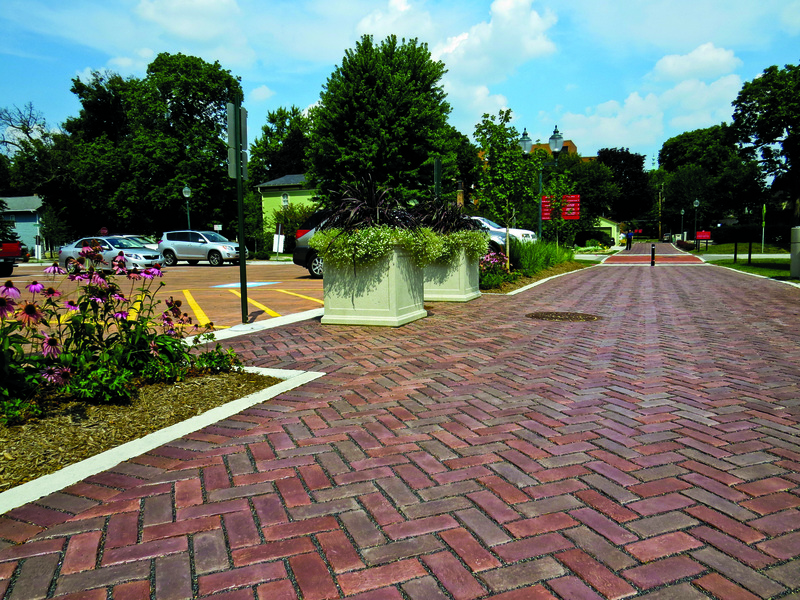 This permeable paver can be produced with some of the most unique finishes only available at Unilock. 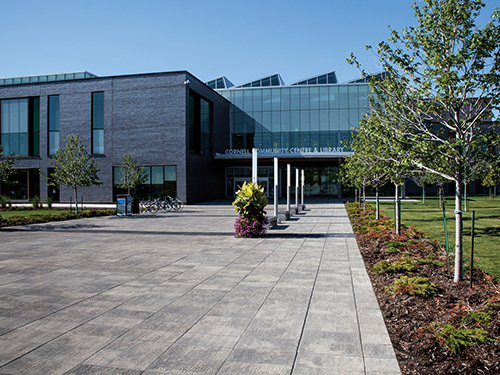 From granite-like, exposed aggregate, brushed and smooth, these finishes allow for unlimited design possibilities. 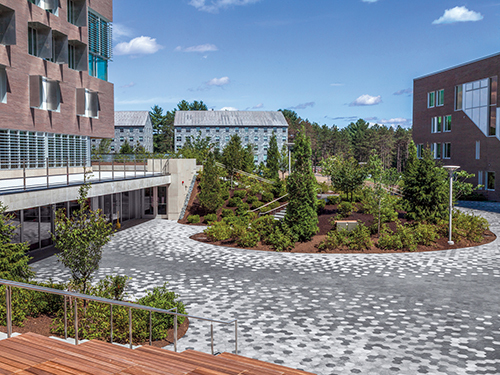 With a surface infiltration rate of up to 140 inches per hour, Eco-Priora offers both aesthetic and performance.